So, you’re looking for just the right amount of tension, and the right amount of tone? Our Light gauge is an excellent choice for most guitarists as it has the perfect balance of low-end and midrange volume, without being too hard on the callouses. Our Bright Brass is an 80/20 Bronze alloy that gives your acoustic guitar the present, punchy, articulate tone it needs to cut through any mix. Equally suited to fingerstyle and picked techniques, this is the perfect choice for any player that requires a crisp, brilliant top-end, with an equally vibrant low-end. Give your own acoustic the strings it deserves, a set that will make it stand out from the crowd. Hit the big blue button below to add these to your cart. Want to customize? 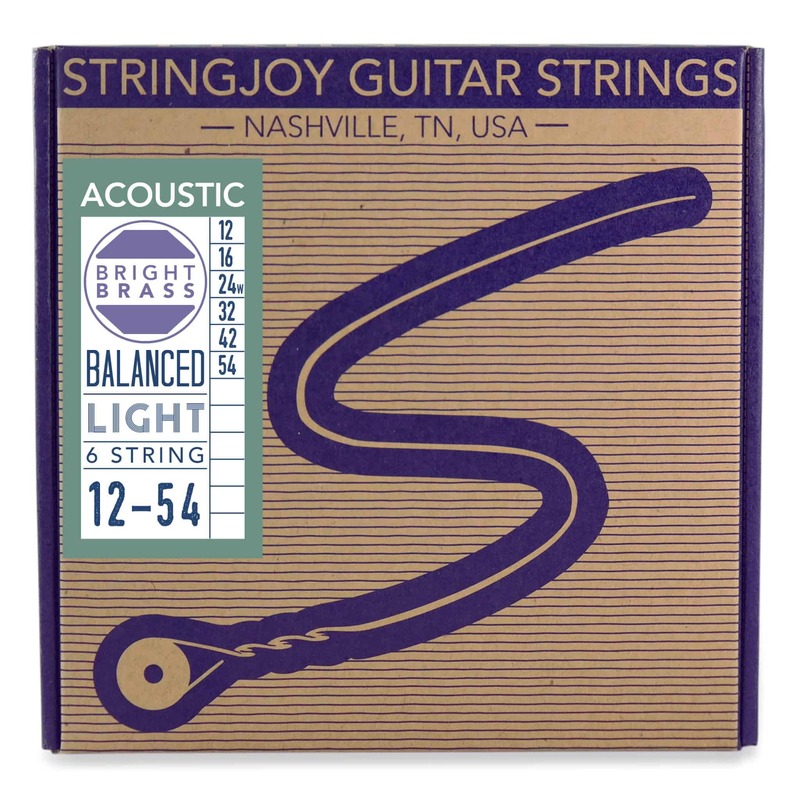 Check out our Custom Bright Brass Acoustic Guitar String Sets. >> Alan from Metuchen, Gregory from san diego & 60 others bought this item recently. To put it simply, fresh acoustic strings, made with quality materials and genuine care just sound and play better. Stringjoy acoustic guitar strings are made by a small team in the USA, out of all American materials: our top quality Bright Brass 80/20 Bronze alloy, wound around a high carbon hex-core steel wire. The combination of better materials and more careful craftsmanship creates a brighter-sounding, long-lasting string, without the tone-deadening effects of string coatings. 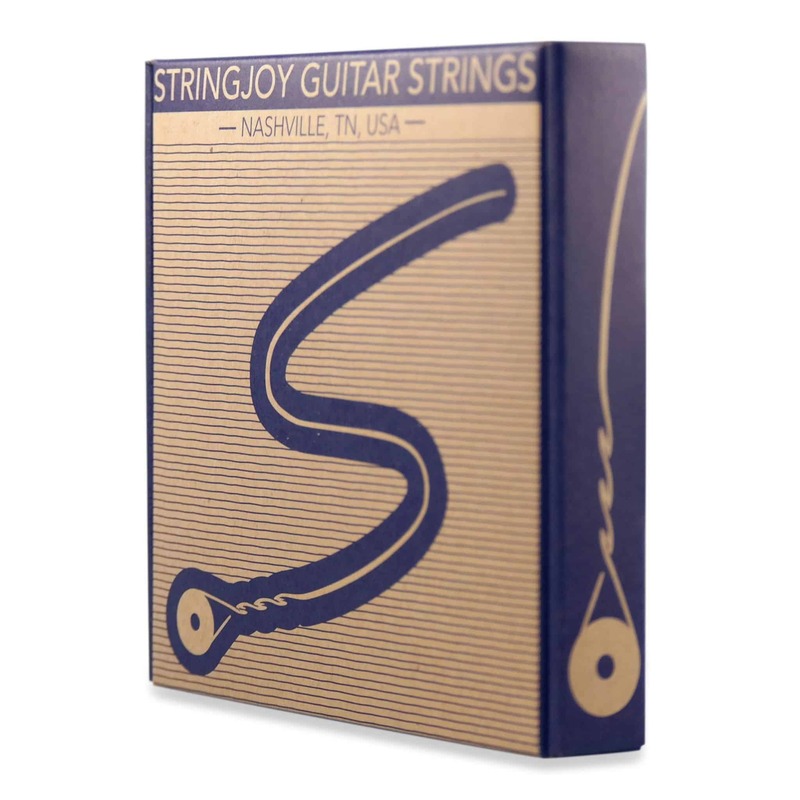 What does a higher quality set of acoustic guitar strings mean for you?